Join in the discussion hosted in conjunction with Treehouse Knits on Facebook or use the summaries and prompts in your own reading groups! Some interesting points made by readers are included in italics. 1. What did you find most interesting in your reading? Did anything in Chapter 1 cause you to have more questions? If so, what? 2. Think about your own fiber arts creating and making - Why do you create? What parts of the "process" makes your heart sing? Do you think these early makers of fabric "enjoyed" the process? "Chapter 1 really brought home for me the vastness of innovation. It constantly blows my mind to think about the generations working with trial and error, spending their lives working with something, and slowly finding more efficient ways to get the same work done. I also loved the authors take on why it was women who gravitated towards textile work. 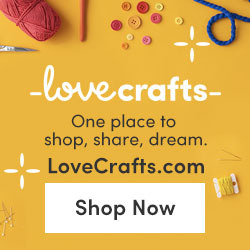 I feel like fiber arts can be really undervalued, not by us of course, because we 'get it', but by society in general. But I think the first chapter here contributes to the idea that this kind of work is extremely technical, is deeply rooted in our history, and deserving of merit. I think this idea stems to other aspects of traditional 'women's work' as well, like caring for children and elders, and maintaining a household. It makes sense why these things historically went together, but I'm not sure what contributed to the devaluing of this. Karen Bek-Pedersen wrote a great paper on fate and weaving and its symbolic use in Old Norse literature, and I think it is relevant here. She argues that because of the nature of weaving, it lends itself well to the old Norse perception of what fate is. They didn't see fate as something you were destined for, but instead fate was the core of your being. It was your true and unchanging self, and all of your expressions, or decisions in life were made based on that presence of your core self, or true nature. With weaving, we have the warp, which is steady and unchanging, and we use the weft as expression, weaving it around our metaphorical fate, if you will. I find this to be a really beautiful analogy, and I think its something Barber hints at in the first chapter. I also kind of see this as a metaphor for women's role in all of history. It wasn't often that women were charging at the front lines of battles, or signing treaties, since that would have been highly unacceptable at the time. But women's work with textiles kept families alive, soldiers uniformed, etc... that women's work was the warp threads through which the rest of history has been woven between." Chapter one focused on the practical aspects of fiber production, and we spent last week thinking about what life and crafting might be like if we had to produce garments for our survival. This week, we delve into the nature of the oldest remains of textile fragments, and the evolving relationship between utilitarian and symbolic clothing. 1) Do you think the historic language reconstruction was useful in making an educated guess about the aspects of prehistoric life that we have no material evidence for? Was the author's use of this effective in taking you back in time? 2) Barber also went beyond the practical uses of fiber, wondering about the implications of adornment and ritual, and why people would go through the trouble of creating symbolic, ‘non-functional’ garments. What motivates you to make something that isn’t necessarily functional? Did any particular aspect of the author’s experience resonate with you? 3) What was the most surprising thing you learned in this chapter? "In terms of why I make things that are unfunctional - I thought right away about one of my Stephen West shawls I made. I loved the process so much - the fun design, the colors i used, etc., - but have never actually worn it! It adorns one of my office chairs almost as a piece of art that says, 'I had fun, this is beautiful, I made it all by myself, etc.' "
1) Why do you thing EWB chose the quote and the Welsh rabbit definition as the beginning of the chapter? 2) I found it interesting that dogs were the first animals to be domesticated, especially since it was an animal that was not domesticated for survival (for food). Why do you think that was the case? 3) As women began to work in more of a community together, they found ways to entertain themselves while performing their duties of feeding and clothing their families. EWB discussed how the European women sang or chanted ritual songs to set the rhythm of the endless repetitive motions of handwork. This also enabled the children to begin learning the process. Can you think of anything similar happening in your own childhood? Moreover, what repetitive work of yours today could be made better/is made better by song or other form of entertainment? "I felt like Barber used this chapter to expand upon the gender division of labor. In the previous chapter as well, she notes that women came to have the reliable tasks and professions, and this became the secure foundation for life. I wonder if she used the Welsh rabbit quote to illustrate one of the many ways that women's work kind of 'saved the day' when the more risky hunting proved not profitable for that day. I really appreciated how she went through the changes that happened to the lifestyle transitioning from the Paleolithic into the Neolithic; esspecially the bit about the rise in the importance of fertility rituals. Hunter gatherers control their populations well, but with the rise in disease that comes with living in settlements, for the first time, families actually neeeded to have more children! I never thought about that before. I guess I always figured that birth was a mysterious and powerful thing to people in this time, and that fertility was so highly regarded simply because it was unbelievable. But it looks like it arose from logical necessity. So that really changed my perspective. "If the summers encouraged a sort of sisterhood, European winters invited communal work even more. When the farm is covered in snow and modern electronic entertainments are millennia into the future, how do you while away the time? You carry on when small and useful crafts you can, giving you a sense of bettering your life, and you make it more fun by having a party at the same time. Just as the pioneer women in rural America got together for sewing, quilting, and husking bees, just as Hungarian farm women still have regular 'work parties', so the women of prehistoric Europe gathered at one another's houses to spin, new, weave, and have fellowship. How do we know this? From the cloth itself." It makes me think of how I would like to remembered many years from now, and when we look at remains of prehistoric textiles, we don't just see dirty old wool, but instead the stories, songs, and bonds of the women who made them, how they taught their children, etc... and I think, well, that sounds like a pretty decent legacy." "This chapter covered so much ground and was full of fascinating resonances for me as an artist using textiles: the different conditions that allow protein/animal based fibres and textiles to survive compared to plant-based ones reminded me of the different effects of eucalyptus leaves on dyeing fabrics - won't work on cellulose but glorious colours on silk and wool. Similarly, techniques such as cloque which uses caustic soda dissolve protein-based fibres but work beautifully on cottons, hemp and linen." " was just watching a documentary about life in England before the Romans, and the historian presenting it talked about the dog bones found in Star Carr. They are apparently domestic dogs and date from 7000 BCE. The Presenter hypothesizes that; based on the landscape and technology at the time, these dogs were used for herding, possibly of sheep. My question is - if the ancient Britains were herding sheep in large enough numbers to need dogs, were these sheep already changed to wooly varieties? Yet EWB says that the crossover from hairy to wooly sheep happened around 4000 BCE, but that timeline doesn't make sense to me. Could this be another instance of some cultures advancing before others, at least in regards to landscape based customs? Could sheep in England have become wooly earlier than sheep in other areas of Europe and the Middle East?" Barber used this chapter to detail some theoretical motivations behind creative applications and elaborate embellishments of cloth garments. “Island Fever” was defined as the enormous amount of effort that isolated cultures invested in unusual activities, since they could afford to expend energy on communal creative works in the absence of the need for self-defense. This could refer to a literal island, or a figurative island of isolation. 1) Do you find yourself susceptible to ‘Island Fever’? How does your creative process change when you are left to your own devices for a while? The author cited passages from Homer’s Odyssey and highlighted the differences between Greek and Minoan cultures. 2) Do you think it was coincidence that the women on Crete were not only skillful crafters of ornate cloth, and the heads of the house, but that this was also a matrilineal society? "Island fever...i think that it applies today in the sense that if my survival depended on the textiles i produced, they would be simpler and finished up more expediently, not by choice but by necessity. The isolation lends itself to creativity, because there is time and less distraction by other demands." "In terms of Island Fever - I get the thought behind it, but sometimes think the opposite holds true for me. I get my best creative ideas when I am busy doing some other task, OR when there are parameters set that I have to work against. But I totally get where she is coming from in terms of the isolation and peace leading to the Minoan culture being able to flourish creatively. They were able to use their time to its fullest, and able to try things, fail, and try again until they produced something new and different that worked." "The section introducing dyeing was fascinating - how red and blue were the most colorfast; hence, most country flags used these colors. Was wondering if cochineal and kermes were the same thing, just from different parts of the world? And saffron - fascinating saffron hunt being a "rite" of passage (to procure for menstrual pain relief) and the color of yellow being feminine. I'm excited to learn more about how color/clothing becomes a way for self-expression and as social indicator (as EWB states)." (Also just for funsies, you can actually purchase tiles with replicas of portions of the Minoan fresco that Barber detailed in this chapter! We are moving right along in this informative, thought-provoking book! Chapter five led us through the evolution of clothing, and showed us where our basic modes of dress (undergarments, skirts, pants, shirts, etc.) developed from need versus fashion (or you could say "function follows form.") It also discussed how the wealth of the Bronze age created different types of dress amongst cultures (social signals of wealth). Scattered throughout the chapter were topics such as tatooing, Neolithic pigments and dyeing, world's oldest preserved body garment, etc. Tons of information! 1)What were you most intrigued by? Did you do further research in any area? "There is a lot more training/educating of the public about leaving artifacts where they were found anymore. I remember getting those lectures as a kid traveling through mesa verde and places like that. Or the park services campaign 'take only photographs, leave only footprints'. I dont know if these are universal educational tools or not though." "I liked how Barber structured this chapter by equating clothing style and function to language dialects. It conjured up a neat picture in my head of different colored liquids on a map moving around, meeting each other, and affecting other colors (ie forms and functions). It was interesting to view clothing functionality as 'technology'. I personally can have a knee-jerk reaction to technology in which I tend to either ignore it or feel threatened by it. It was interesting to read about the Chinese having this initial reaction to the invention of pants and riding horses. It was also interesting to note the advantage that Scottish soldiers had over the British during the uprisings in the 1700s because of the functionality/fit of their clothing. It makes sense that unfitted garments would last much longer, and that fitted ones would flaunt a person's affluence, since they could afford to keep purchasing/producing clothing, even if they were less practical in style." "I found myself in awe at the evolution of clothing and how it is reflected in my wardrobe today, especially the layering of clothes. As I dress to work with my animals, I often wear a "tunic" with something woolen on top. (p.133) I never really thought about how my culture's fashions came about and what influenced their existence...until now." The Elements of the Code chapter discussed the symbolic expression of intricate adornment, from garment style, to jewelry, to spiritual cloths, and story tapestries. Barber says that ancient meaning in cloth generally fell under 3 main purposes: to mark or announce information, to record data; be it mytholological or historical events, and also sometimes to invoke magic either for protection, fertility, wealth, divination, or even cursing. 1)Are there any kind of visual social signals that exist within your family or community? 2)If someone in the future were to find your wardrobe, what might they think about your lifestyle, beliefs, or community? 3)Was there anything that resonated with you in this chapter? "Religious symbols come to mind for me, probably because I live in a state with a large Mormon population. The Mormons have garments that they call "garments" that are worn next to the skin at all times that protect them, I don't know the doctrine well enough to go into detail about what it protects them from but they are sacred and are treated as such. They also have what they call "Temple clothes" that are worn in the temple, during baptisms, and they are buried in them." "Visual social signals - they are everywhere. Living in a rural/agricultural community, i see wranglers, bogs, cowboy boots and lots of carhart work clothes. But i can tell them apart from the oilriggers that live here, and the climbing and outdoor community that dominate the next town over. I live on the edge of the Wind River Reservation, home to two tribes - Northern Arapahoe and Eastern Shoshoni. Their jewelry and some ways of dress are distinctive. Their beadwork is very different. Families have specific colors that go into their ceremonial dress. Its common to see '307' on trucks and hats and clothing, and the bucking bronc.....announcing to anyone who is paying attention that they are from Wyoming." Chapter 7, "Cloth for the Caravans" showed us how cloth went from being something women made for their families and communities, to something that was extremely valuable as a trad-able commodity with other communities. 1) Does this still apply to modern day cloth? 2) How have things changed/stayed the same? 3) As with any change, social ramifications occur...did any then? 4) How does our current cloth "culture" make for social ramifications? 5) What else in this chapter stood out to you? "Often times, even though women historically could not rule, attain management positions, or even choose their spouses, they demonstrated agency in other ways, either through verbal persuasion, magic, etc. But in this chapter, it was interesting to see women demonstrate agency through commerce. I was floored to read about the details we have about the lives of certain individuals, simply through their recorded business dealings. It seems that, since cloth is more portable than say, frescoes, this new trade commodity would allow for an easier exchange of style and ideas about fashion. A few chapters ago, we read that the Minoans started painting their frescoes after having visited Egypt and seen them there. But now that textiles are being traded, styles, symbolism, production process, etc, would also be more readily shared. I feel like this could potentially have an important impact on the speed of change." "Textiles commerce is still going steady, but maybe for some different and additional reasons. Cheap labor in some parts of the world allow for access to affordable textiles. Fair trade agreements that are becoming more prevalent, allow people, frequently women and women's co-ops to market their goods for fair trade prices, allowing them to support their families. Downside of this commerce - I'm sure there are still sweat shops out there." In Land of Linen, we see another example of a kind of “island fever”, as the Egyptians were decently isolated by a sea of sand, and cultural exchange was less common here than elsewhere. Barber cites various literary sources (the research of Greek historian Herodotus, Egyptian folk tales, and excerpts from the Old Testament), linguistic evidence with examples from Hebrew, as well as archaeological evidence such as painting and carvings, and cultural material remains from within tombs. As always, feel free to respond to any or all of the discussion prompts, or just let us know about anything you found particularly interesting in the chapter! 1) Have you ever processed flax? What kinds of things did you notice about it? 2) What do you think motivated the Egyptians to create such fine, almost translucent, woven fabrics? 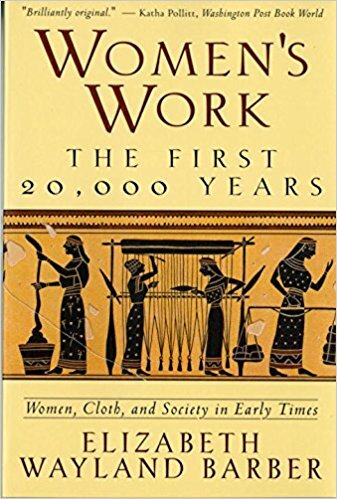 In Barber's reconstructed account of flax processing and weaving in the Middle Kingdom of Egypt, she notes evidence of oppressively tedious work conditions, but also a reverence of cloth production, and an enjoyment of free time for women that we haven't seen much of until here. 3) Do you think this spectrum might reflect the "vibrant humanity" and self-actualized agency of this time period, or are these seemingly contradictory attitudes a result of something else?
" At points she was talking about entertainment and free time, and then at others, (And maybe this was for earlier periods?) how women had deformed knees and toes from the hours they spent on the floor weaving. I could see pride in craft, and devotion to artisanal skills. But maybe today we've lost that focus or fear that might make us commit to things that are painfully repetitive? These days we'd change occupations. But again, I don't know if it was because those weavers didn't have a choice?" In Chapter 9, we entered the end of the Bronze Age, and discovered how women (and children) were used in the mass production of cloth, and how social status indicated how and what was produced and worn. Do you see any similarities today? How does socioeconomic status relate to the way textiles (or our arts and crafts) are produced today? "Clothing provides an excellent mirror to the radical changes in economic and social structure brought by the Mycenaean Greeks." (pg 224). 1) Do you so this happening today in any way? "I can definitely see similarities with the Bronze Age Mycenaean culture, to today. I guess it is kind of akin to any hobby, and mostly only wealthy people could have afforded to have a hobby that involved material culture in such a socially stratified community. The queens and princesses used high quality tools (literally golden!) to produce textiles that were luxurious beyond utility, while the workers produced all the everyday fabrics for the palace, and trade goods. Today, much of our clothing is made in large factories, and those lucky enough to be able to afford to, can spin luxurious silk/mohair blends on their resin cast drop spindles and then knit the yarn with their hexagonal cherry needles with sculpted copper stoppers. It sounds a bit silly and dramatic, but I don't think the spectrums are too dissimilar. I did find it really interesting how the author addressed a higher level of control over the produced good, by breaking up the supply chain and forcing workers to specialize. No one group of workers here made the cloth, it passed through several processes, all facilitated by the palace, and therefore gave them increased control over the populace." "Interesting point of how breaking up the process of production into specialized functions takes away power and control of the workers. Never thought about it that way and makes complete sense. Make me think of Henry Ford and the advent of the assembly line and mass production, AND the advent of the employee/trades union." "I've read other things about the evolution of bureaucracy. We complain and joke about it and how bogged down it is, generally. But doing anything on a mass scale, would require a great amount of organization in order to function. So I can kind of see why it would evolve this way. And I can see where there would be a great demand for laborers on all levels, and how that could drive the need to capture other populations to fulfill the labor needs. I've read some historian's perspectives on how industrialization has in some ways, made us dumber (less savvy) in our abilities to survive on our own. Most of us can't do all of the tasks it would take to survive on our own, either as nomadic hunters or farmers. It also sounds like the childbearing and rearing was part of the control mechanism in myceanean greece - keeping the women laborers anchored in place while they raise their children, and the separation of labor for men and women continues." This week's chapter, Behind the Myths, brought to light the vastness of the presence of textile-related themes in mythology around Europe, Israel, and Egypt. We learned about some of the connections drawn between thread and fate, as well as cultural material remains that have been recovered, which reinforce spiritual perspectives, narrative histories, and oral mythologies that have spread throughout the globe. We learn how one might be able to take fatal revenge on an enemy by soaking their clothes in realgar ('dragon's blood'), and how to properly dispose of a spindle, and thus break the curse on our frog-wife. Barber also briefly revisited her linguistics knowledge to emphasize the way certain textile technologies and myths came to the Greeks after they had had contact with indigenous inhabitants of the Balkans. She also presented her theory that the Venus de Milo was originally spinning using a drop spindle and distaff! 1) What myth from the chapter did you find most interesting? 2) Were there any "aha!" moments, where you made a connection to another myth that wasn't mentioned in the chapter? Chapter 11 was a packed chapter, taking us from textiles as a necessity, to more of a prestige item. Distinctions in the way fabric was produced fade because of trade and travel. Through various stories told on paintings in tombs, writings of tomb archaeologists, and ancient authors, we deduce what life was like for women - married, unmarried, slaves, young, old, and from different cultures. I was amazed how their stories varied, depending on the culture. (and found myself thinking I would have hoped to have been an Ionian woman!). I found myself wanting to find out more about the Ionian culture, as well as dig into some of the readings around the King Tut exploration and discovery. 1) Did this chapter inspire you to learn about something discussed in more depth? If so, what? EWB says in the last few paragraphs of the chapter, "women as a whole have seldom complained so loudly as today, when we have more freedom than ever before - just as the loudest complainers in eighteenth-century Europe, the organizers of the French Revolution, were the richest peasants around." 2) Do you agree? Why? What should we take from this? "It is really interesting to see women's value in society fluctuate with the value trends of textile products. I can see Barber's point about women complaining loudly now when we have more freedom than ever before, and I'm not sure she meant it as a positive thing, but personally I think it is great! You don't stop 20ft before your destination and say "wow we've come so far!". If women are complaining, it means that they feel safe enough to do so, or brave enough for the consequences to be worth it! So for me, that passage, especially in relation to happiness, was really interesting. I also appreciated though, that she mentioned that some folks like being told what they need to do; everybody has got their own thing. I was completely cracking up at the passage on pg 273 where Pheretima was being given all kinds of gifts and she was like "seriously though, I just want an army" and none of the men knew what to do!" In this conclusion, Barber addressed some particularly important aspects in the development of archaeological practices, and summarized how we can use a multi-disciplinary approach to finding the seemingly invisible evidence of women's half of history. After WWII, repurposed military technology opened a gateway to new kinds of scientific analysis applicable to archaeology and the pursuit of the past. When used in conjunction with both object and linguistic reconstruction, ethnology, mythology, and by using our 'little grey cells' to notice the evidence inherent in the absence of information, we can finally see the enormous scope of the roles women have played throughout history, whether rulers of their home, trade, or a civilization. Has this book changed any preconception you might have had about women's roles in prehistoric and historic times? Has this book changed any preconception you might have had about textile production in general in prehistoric and historic times? What do you find yourself reflecting on the most, in the wake of this book? Any other final thoughts you'd like to share?